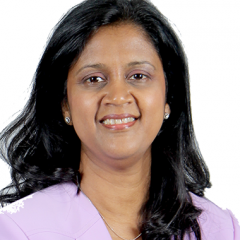 Ms. Karunajothi Kandasamy assumed the current position as Deputy CEO of SME Corporation Malaysia in August 2015. She has been instrumental in developing the SME Masterplan and is currently actively involved in the execution of the Plan. She is also overseeing programme coordination, international relations and developing comprehensive SME statistics for evidence-based policy making. A secondee from the Central Bank of Malaysia with vast experience in public sector policies, she participates actively in SME policy and financing discussions at the regional and global level.